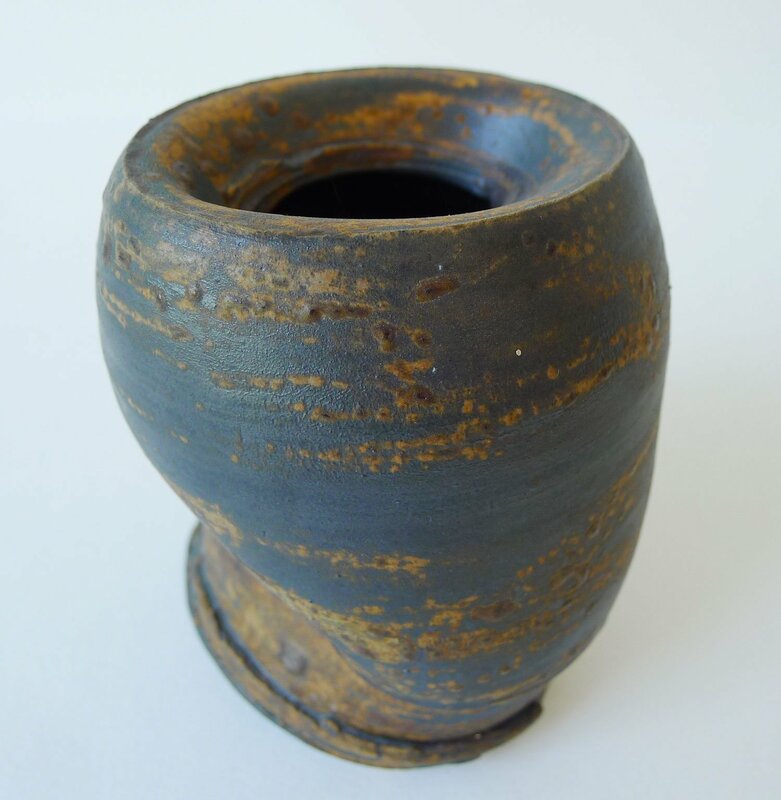 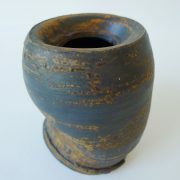 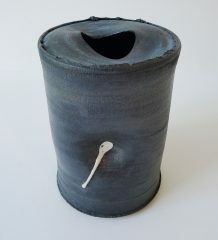 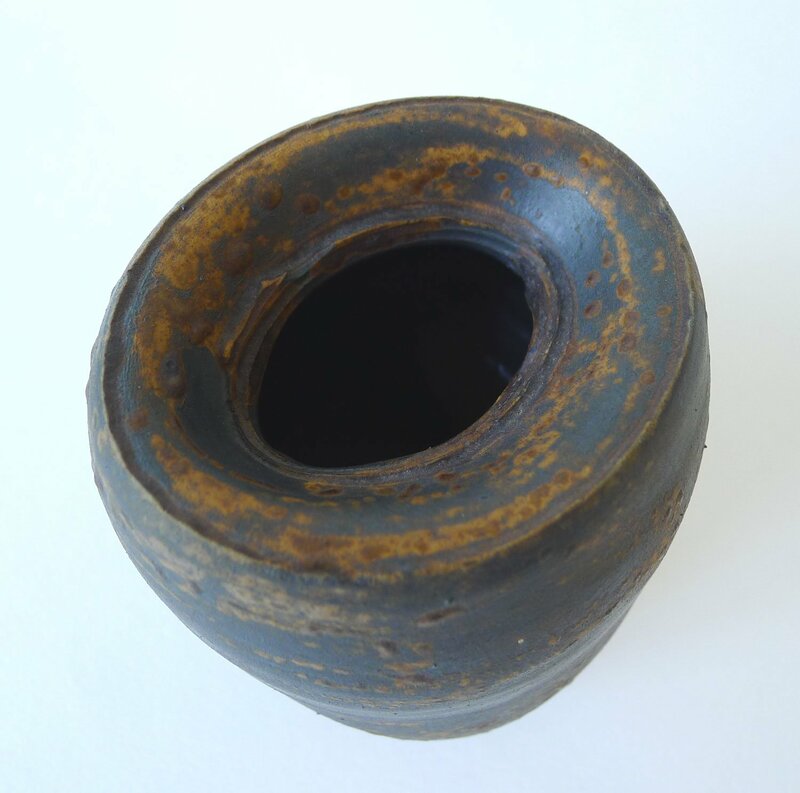 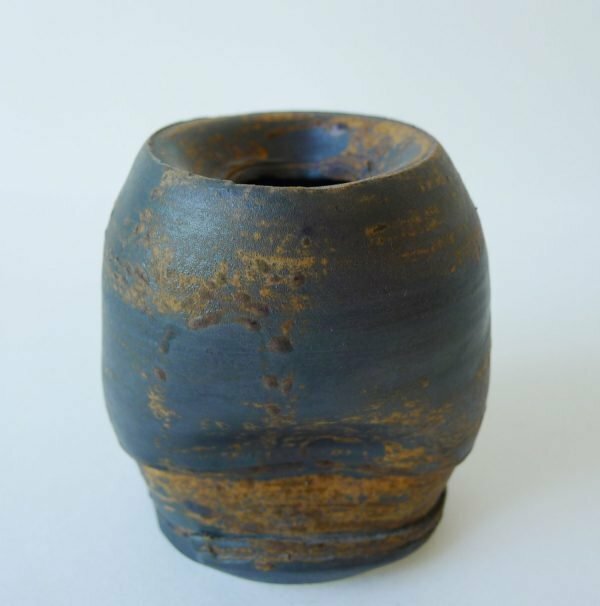 Dan Kelly thrown studio pot in porcelain which has been thrown and reshaped by hand, with a manganese glaze. 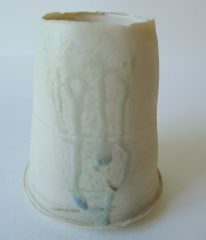 A piece made circa 2000. 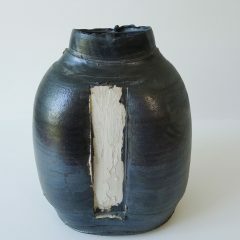 Not signed, as usual.In good condition.